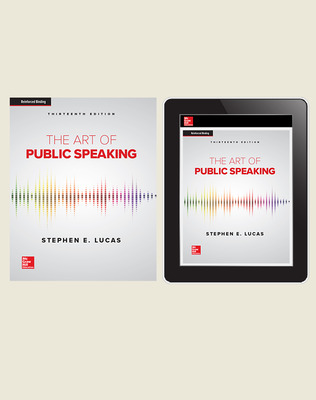 Fully updated for the thirteenth edition, the award-winning The Art of Public Speaking offers a time-tested approach that has made it the most widely used textbook on its subject in the world. Providing clear, authoritative coverage and written in a voice that speaks personably to students, it helps them become capable, responsible speakers, listeners, and thinkers. The Art of Public Speaking presents a solid, fully customizable foundation and abundance of teaching aids from which to choose, allowing for complete teaching flexibility in the course. This text offers wisdom, a steady hand, and an unmatched ancillary package that will instill confidence and build success in the classroom from day one. ■ New chapter provides guidance that students need for effective online speaking. ■ The Art of Public Speaking’s video program includes more than 60 speech excerpts that demonstrate the principles of public speaking. aids and presentation technology has been updated and best practices are illustrated by abundant examples in the book and in the speech videos. ■ Instructor’s Manual. 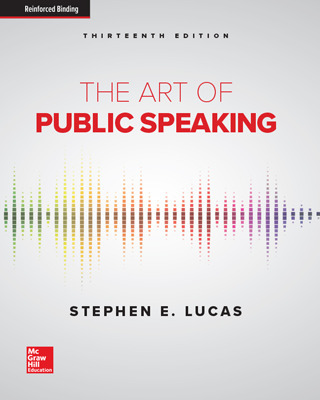 This comprehensive guide to teaching from The Art of Public Speaking contains suggested course outlines and speaking assign¬ments; chapter outlines; supplementary exercises and classroom activities; and teaching tips for all exercises and activities. ■ Test Bank. 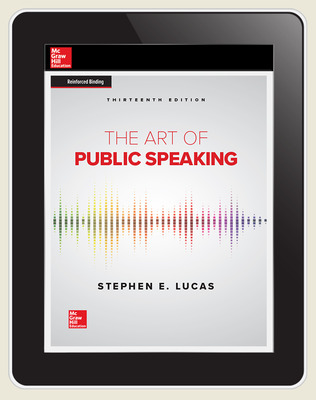 The Test Bank furnishes close to 3,000 exam questions based on The Art of Public Speaking. ■ Teaching Public Speaking Online. Teaching Public Speaking Online manual includes new and revised chapter exercises and discusses performance analytics and approaches to blended and online classrooms.